THE WILSON: 14 DUSTON ROAD (LOT 1232) This popular model is very spacious and offers 3,588 square feet of living space. You'll enjoy greeting firends and family in the impressive two story foyer. Right of the foyer is a very large office or study. Formal living and ding rooms. There is a wonderful center island kitchen with big dining area that open directly into the family room wiht vaulted ceilings. The master bedroom suite is very spacious and features a spa bath and huge walk-in closet. Plus you'll love the three car attached garage. This home could be ready for a quick close. Best of all it is priced at just $579,900. 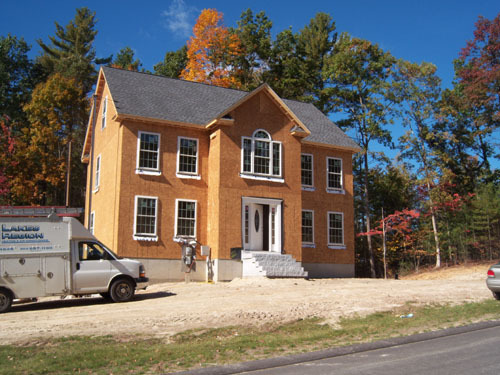 You won't find a better value in Windham! Why not take a look this Sunday. THE STARK: 42 NORTHLAND ROAD (LOT 1239) This distinctive home offers 3,269 square feet of living space and featues a wonderful great-room just steps from the kithcen. And inviting foyer opens to the formal living room. Gracious formal dining room with wainscoting. Big kitchen with breakfast room. Spacious master bedroom with spa bath. Four bedrooms total. Plus a two car garage. This home is set on a beautiful lot and can be ready for a quick closing. Priced at just $549,900. Buckland Road located within Spruce Pond Estates and has been planned for more affordable homes. 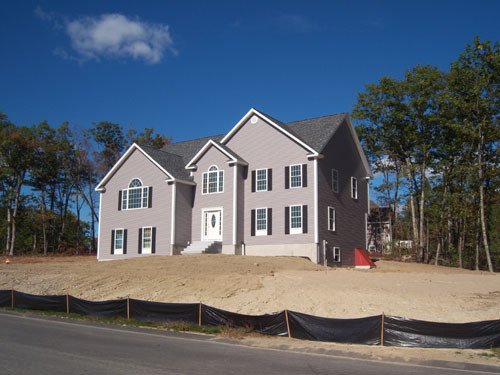 Yes you can live in Windham without compromising with a resale that just doesn't match your tastes and style. The homes on Buckland Road start at just $394,900. 12 BUCKLAND ROAD (LOT 870) is up and could be ready for a quick close. This spacious colonial offers 2,222 square feet of living space and a walk up to the second floor that can be finished later into additional living space. This three bedroom 2.5 bath home offer s large familyroom, formal dining room and a huge country style kitchen with a large dining area. There is also a two car garage. 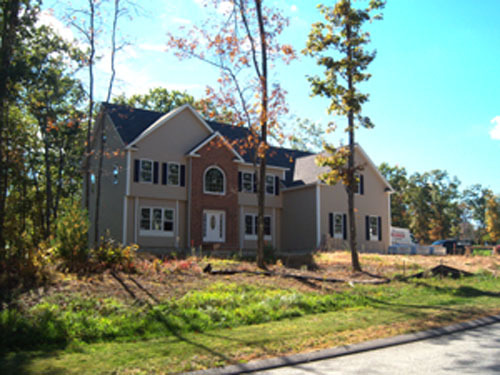 There are several lots and many home styles to choose from on Buckland Road.